Marine phytoplankton has been at the base of the food chain for all the creatures living in the ocean for more than 3.5 billion years, from the smallest species, to the largest of whales. Marine phytoplankton is the foundation of life in the ocean. It has been created by nature and has been a key-stone element of nutrition forever since. On land, the air we breathe is largely provided by the oxygen that is produced by marine phytoplankton through photosynthesis. Marine phytoplankton is found in all oceans around the world, but thrives in the waters of the Strait of Georgia on the east coast of Vancouver Island in British Columbia, Canada. The pristine waters of the Strait offer a unique marine environment, like no other in the world. The water from snowmelt in the mountains of Western Canada provide a high content of minerals and nutrients contributing to an abundant and diverse production of marine phytoplankton. This area is among the most biologically productive marine ecosystems in the world for phytoplankton, fish, marine plants and mammals. We source MARPHYL® Marine Phytoplankton from this body of water. MARPHYL® is a 100% all-natural, wild, multi-species marine phytoplankton. It is a whole food ingredient with a full complement of essential nutrients. Marine phytoplankton has been called the most nutritionally dense food on the planet and supplies nutrients that are lacking in most of our diets. Marine phytoplankton contains an astounding array of nutritional elements; vitamins, minerals, essential fatty acids, DHA, EPA, amino acids, chlorophyll, and a vast spectrum of phytochemicals, all of which promote health. 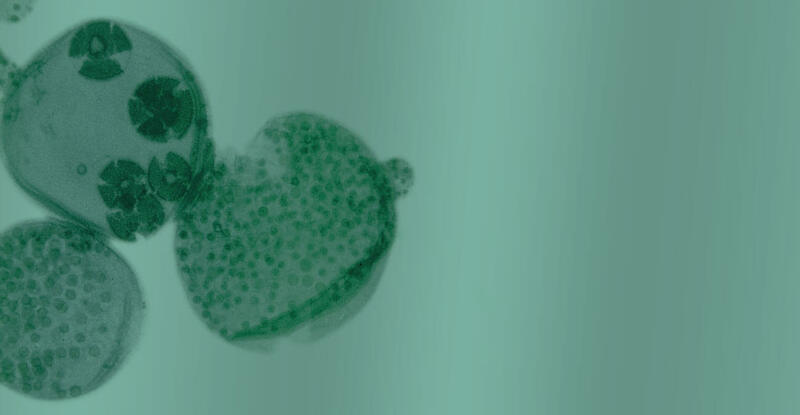 A wide investigation from the University of Manitoba and the Institute of Research of Energetic Medicine in Colorado, USA, showed the importance of these microscopic multi-species algae as support for a healthy functioning cardiovascular system as well as nervous, digestive, dermatologic, and immune systems, therefore this super food helps to prevent sickness and improve general health. Likewise, the University of Manitoba supplied our marine phytoplankton to patients with psoriasis (people with an excessive amount of lipids in the bloodstream). The results observed showed a decrease in the levels of lipids and cholesterol in the blood. Dr. Mark R. Edwards, a biologist and author of Smartcultures: Nature’s tiniest Genius, Algae Reverses Environmental Pollution, and Regenerated Degraded Ecosystems, he notes that in plants growing on land it is impossible to find the vast and complex amount of nutrients found in marine phytoplankton. The micro algae stores higher levels of nutrients than earth plants as they lack roots. They have their entire surface to absorb nutrients, while earth plants only absorb nutrients through their roots, and are often grown in worn soil lacking in essential nutrients, altogether making marine phytoplankton up to 300% higher in nutrients than earth plants. MARPHYL® Marine Phytoplankton is superior to every other types of phytoplankton available in the market. MARPHYL® Marine Phytoplankton represents all the phytoplankton species available in the waters of Western Canada, while other types available in the market represent only one specific species and are often raised artificially. Therefore our product is the only one that provides all the nutrients and benefits of up to eighty different types of marine phytoplankton. MARPHYL® 100% pure all natural marine phytoplankton is rich in trace minerals, antioxidants, carotenoids, essential amino acids, beta-carotene, chlorophyll, macronutrients, proteins, vitamins, DHA, EPA, fatty acids, including omega-3 and omega-6 to help balance our bodies and live a healthy life. The human body has an amazing system, which keeps the body in balance. However, if a crucial component is depleted, such as a mineral or a vitamin, the body malfunctions leading to poor health. The addition of our marine phytoplankton can help to restore the body to optimum health. The benefits of MARPHYL® Marine Phytoplankton as a whole food supplement in comparison to synthetic vitamins are that it contains an exceptional natural balance of nutrients that act in synergy to promote health by supporting optimal cellular and organ function. The body absorbs and utilizes nutrients derived from natural plants more efficiently than it does from synthetic nutrients. We were able to take all these benefits and develop our Marine Phytoplankton to be used as an exceptional food supplement, sea salt and soil enhancer. NASA studies have confirmed that phytoplankton is responsible for up to 90% of the world’s atmospheric production of oxygen. MARPHYL® respects the ocean, the phytoplankton natural source, and maintains the balance of phytoplankton in the Pacific Ocean.